It’s Monday, 8 a.m., and these teens have already mucked stalls in the barn and fed the goats, alpacas and miniature cows. They’ve rounded up eggs in the henhouse, harvested cabbages and a few green-tinged tomatoes, and arranged them in tidy tiers to sell in the Agriculture Store. Now they’re ready to put in a full day of classes. These are the Aggies. They’re the first kids to arrive at John Bowne High School in Flushing, Queens, in the morning, and the last to leave on the New York City buses and subways that shuttle them home in the evening. Some 600 of the city’s public school students are enrolled in Bowne’s specialized, four-year agriculture program. Like most of their schoolmates, the Aggies follow an ordinary curriculum of English, math and social studies. But they also learn the building blocks of diverse careers in the booming industry of agriculture, which sees almost 60,000 new jobs open up in the U.S. every year, according to the USDA. The Aggies grow crops, care for livestock and learn the rudiments of floriculture, viticulture, aquaculture, biotechnology and entrepreneurship. While high schools in rural farming areas have long prepared students for these sorts of jobs, they can’t come close to meeting the demand. So some urban public high schools are stepping in to fill the void. Since 2007, students at the Food and Finance High School in midtown Manhattan have grown tilapia and lettuces in interconnected, water-based labs built by a Cornell University agriculturist. The city’s Harbor School on Governors Island has so far graduated three classes of aquaculture students, who have hatched trout and worked on oyster farms that supply restaurants. Bowne’s program is much older — it harks back to World War I, when city boys were recruited to fill in for upstate farmers serving overseas. Today, it attracts a diverse array of students, including many girls. Many are low income; some have parents who hail from Central America and the Caribbean, where more than a few once grew their own subsistence crops. Forty percent of Aggies go on to ag-degree programs at colleges like SUNY Cobleskill and Cornell, studying everything from animal sciences to food safety and farm management. 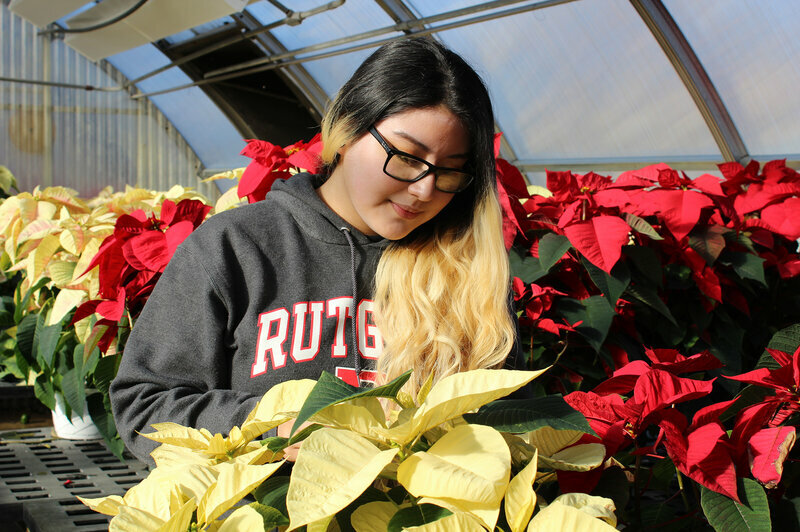 Erika Jerez, a senior Aggie at John Bowne, hopes to study food processing at Rutgers University next fall. “There’s so much more to ag than farming,” she says. Fellow Aggie senior Jailene Cajilina says her parents farmed a piece of land back in Ecuador. Despite that, she admits that before starting at Bowne, she had a poor idea of how food was grown. “Being in a city, you lose touch that someone out there is breaking their back growing these plants, having to slug it out with animals and the weather,” she says. Cajilina spent four years doing everything from weeding broccoli beds to interning at an upstate organic dairy, gaining firsthand knowledge of the physical and financial struggles of farmers. That’s not a life she’s eager to replicate. Instead, she plans to become a large-animal veterinarian. “A lot of these kids are focused on supporting their families,” explains Rebecca Cossa, a Bowne plant science teacher. And with so many farms starting up within city limits, she sees potential for future generations of Aggies to find farm-centric careers close to home. There’s also demand for ag teachers. The New York State Education Department got requests to help set up 65 ag-ed programs statewide last year, some of which require certified ag teachers. It’s a number administrators expect to keep growing over the next decade. Says Mayorga, “The kids in the STEM program at Bowne know about science and technology.” But the Aggies, she says, can grow their own food.